[النسخة العربية أدناه] Dear AFRINIC members and community, I am pleased to inform you that the AFRINIC Board has made the following appointments: Wafa Dahmani is appointed...	read more.. 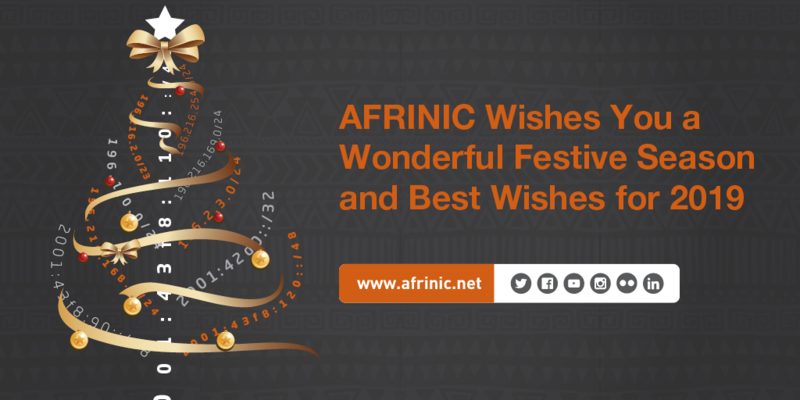 Please note that AFRINIC Offices shall be closed for end of year holidays to allow AFRINIC staff to spend quality time with their families on the following days. 24 December 2018 25 December 201	read more..
(Arabic version is below) The AFRINIC Board is required to appoint a Nomination Committee (NomCom) every year, in terms of article 9 of the Bylaws <https://afrinic.net/bylaws#nomcom>. read more.. 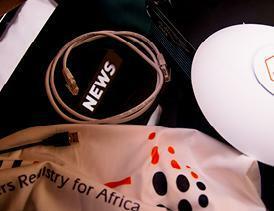 The AFRINIC Board is required to make appointments to various bodies from time to time. On 24 October 2018, the Board called for volunteers who wish to be considered for appointment by the Board. The ...	read more..
(Arabic version is below) The AFRINIC Board has approved a new election process and guidelines. These are the principal changes from the previous version of the Board election process and gu	read more.. There are currently two casual vacancies in the AFRINIC Board: Western Africa (seat 2) Eastern Africa (seat 6)The Board intends to fill the casual vacancies according to the following process. Phas...	read more.. The community and AFRINIC members are hereby informed that the following policies have been implemented: IPv6 Policy and references Update (CPM 6.0, 6.1 and 6.6.4.1. Deleted the previous 6.5.4.2 - ...	read more..